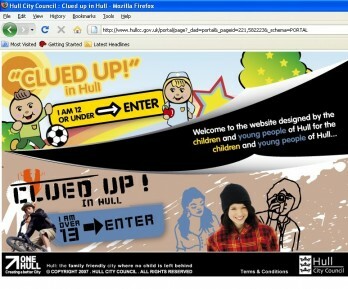 Clued Up in Hull - a website for children & young people by children & young people | Mair Education: learning for life. Sara recently worked with Hull City Council and Splinter Design to research and create the content for Clued Up in Hull – a website providing Hull’s children and young people with a reliable online information source. This exciting project involved extensive consultation with partners within Hull City Council’s children’s services, children and young people and parents and carers to identify the information to include in the website. Sara was responsible for liaising with a range of partners to provide the content for the website which includes interactive games and advice on a range of subjects from sexual health, revision tips and completing coursework to how to deal with bullies and getting involved in local issues. Working with Splinter and Mair Education has been a great experience – the project itself has been a good learning experience for the project team.Splinter supported by Mair Education were able to offer us a complete solution in terms of both design and content – both being key to the successful delivery of the project. The involvement of both children and young people has been key to the success of the initial launch of the project, they have played a major role in not only determining the look and feel of the new site but also making decisions around the content and the subject areas that the site covers. I see the launch as only the start of something that will continue to grow and change at a rapid pace.